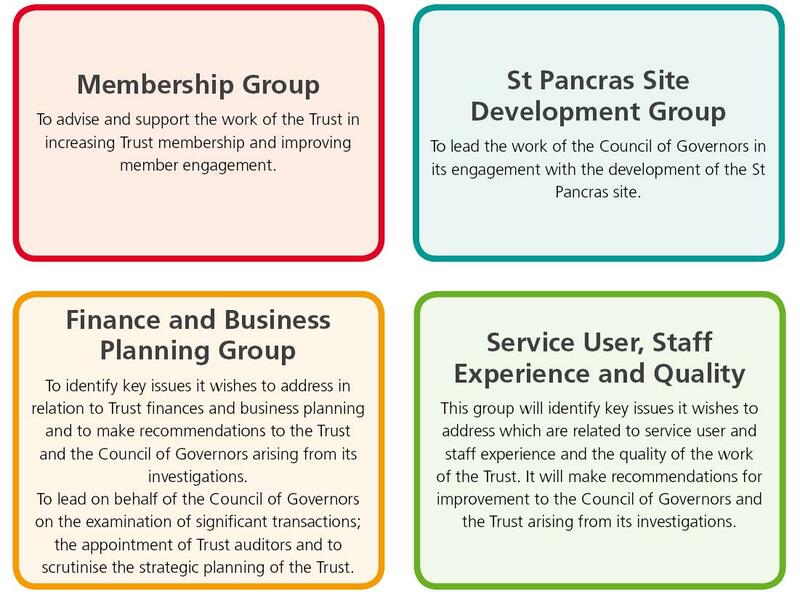 In partnership with our Council of Governors, C&I has established four Governor Working Groups to help enable Governors to represent the interests of members and the wider community in areas of key importance to the trust. Each Governor belongs to one Working Group and attends four Working Group meetings per year in addition to carrying out their normal duties. Meetings are also attended by Non-Executive Directors, to help improve accountability and enable feedback to be escalated to the Board where appropriate. If you have a particular interest in any of these areas and would like to ask a question or make a suggestion to the relevant Working Group, you can send an email to governors@candi.nhs.uk or submit your query via our online contact form. Please remember to state in your message which Working Group you want to contact.